Sometimes, when you sit at the seashore, you look at the sea and you see yachts go by, but once in a lifetime you look at the sea and you see a yacht that takes you away…this yacht is GORA Gulet. 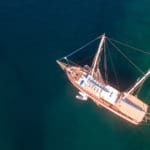 Gora gulet is one of these once in a lifetime opportunities that you just have to take! Every part of this handcrafted gulet is absolutely stunning. The gulet was built in 2011. It has 5 cabins and can easily entertain 12 guests on board.7 crew members will provide you the best service you have ever experienced before. You will be served beyond your expectations, while you enjoy the energy of freedom, privacy, and luxury. So did my story take you away? 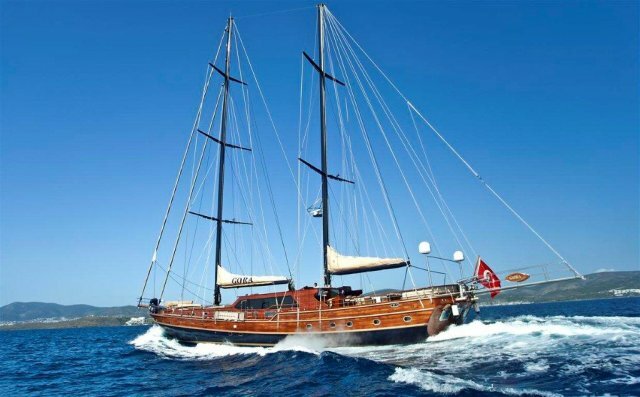 If you want any more information about this gorgeous gulet, do not hesitate to contact us. We are more than willing to provide you every detail about this beauty. 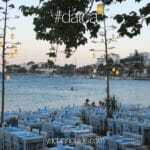 Every part of this well handcrafted Turkish gulet is a creation for a dream holiday on a blue cruise travel. Boasting 38 meters in overall length, with only 5 high end cabins, just imagine the spaciousness, luxury and comfort that is offered on board. Size and space aside, the Gora gulet is designed for the ultimate in sailing style. With her prestigious yet traditional appeal, rigging, overall first class standards, and outstanding crew and services, she will pamper guests to practically no end. The added bonus? 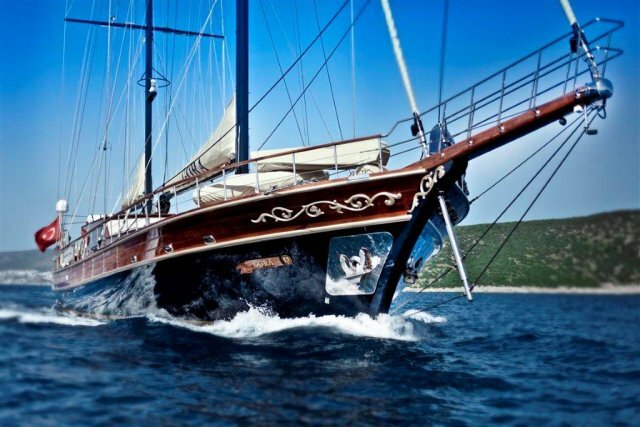 She is fairly new, a 2011 build from the shipyards of the renown city of gulets, Bodrum; the Gora gulet is nothing less than VIP. She was designed to offer her special guests an unforgettable blue cruise holiday. Live a 5 star experience at sea on board this magnificent yacht. 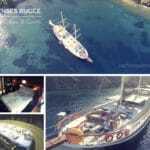 The Gora yacht has a long list of high references from guests who some have repeatedly cruised with her. 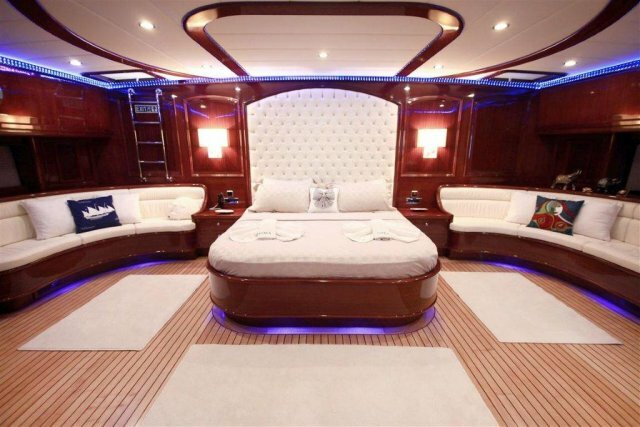 There are 2 master cabins, 2 double cabins and 1 twin cabin – fully equipped with all the luxury facilities one can expect from a yacht in this status including a jacuzzi in the master cabin and hydro massage showers in the remaining en suites. Ideal for groups of family and friends up to 10, all cabins are superbly designed with air conditioning all throughout the yacht. Dining is available both in the saloon and the aft deck areas to enjoy some of the finest Mediterranean and International dishes prepared by the Chef on board. In addition, guests will be served by a total crew of 7. A very large Turkish yacht, with only 5 cabins and a highly professional and experienced crew of 7 shows just how elite the services are on board – to make sure that you have one of the most magical blue voyages in the Mediterranean. 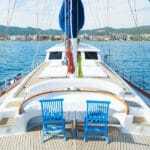 The Gora Gulet places blue cruise holiday dreams into another dimension.